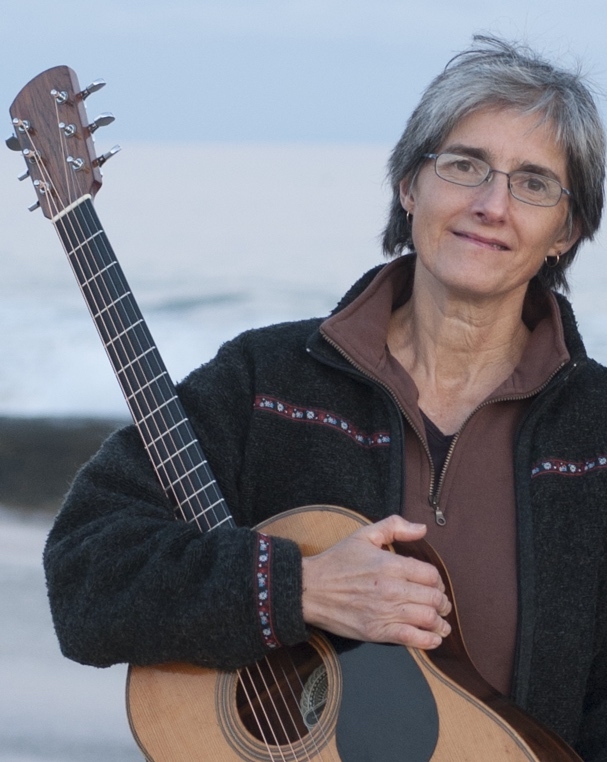 Cindy Kallet is a songwriter, singer and guitarist who performs solo, as a duo with Grey Larsen, and as part of the trio of Kallet, Epstein and Cicone. One of her favorite things to do in the world is teach - she does so by way of music camps, workshops, residencies, and private lessons. Kallet has performed in coffeehouses and concert settings throughout the country, and has appeared on A Prairie Home Companion and National Public Radio's All Things Considered. Working on Wings to Fly was voted one of the "Top 100 Folk Albums of the Century" (the last century) by WUMB Boston radio listeners, and Kallet's Leave the Cake in the Mailbox - Songs for Parents and Kids Growing Up was chosen for a 2004 Parents' Choice Gold Award. Scott Alarik of The Boston Globe calls Cindy "...one of folk music's most respected songwriters...a brilliant guitarist..." Cindy sports five solo albums, three trio recordings (with Ellen Epstein and Michael Cicone) and duo CDs with both Gordon Bok and Grey Larsen. She and Larsen have just released a single, "Back When We Were All Machines." She has also published The Cindy Kallet Songbook, a collection of 32 original songs, complete with words, music, chords, and guitar tab.